Here are pictures of jubilant supporters of the ruling Zanu-PF party celebrating after Zimbabwe's top court threw out an opposition bid to overturn presidential election results in favour of the Zanu-PF candidate, President Emmerson Mnangagwa. Since independence from Britain in 1980, Zimbabwe has known only two presidents - Mugabe, who ruled with an iron fist for 37 years, and his erstwhile right-hand man Mnangagwa. 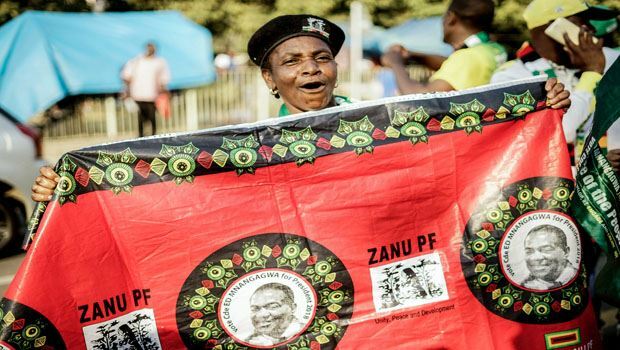 Mnangagwa of the ruling Zanu-PF party won the election with 50.8% of the vote - just enough to meet the 50% threshold to avoid a run-off against his main opposition challenger Nelson Chamisa, who scored 44.3 percent. Similarly, US monitors said on Sunday that Zimbabwe had "not yet demonstrated that it has established a tolerant, democratic culture". "I have a legitimate claim that I am supposed to lead the people of Zimbabwe," Chamisa, who heads the Movement for Democratic Change (MDC) party, said on Saturday.